One of the costs of living in the US is that you have to pay income tax to enjoy all the services of the government. This year, paying taxes just got a lot more complicated for independent and emerging filmmakers. This shouldn’t come as a surprise to many; the new Tax Cuts and Jobs Act, signed by President Trump on December 22, 2017, was designed to ease the federal income tax burden on corporations in order to spur job creation. The bill wasn’t necessarily written with the independent filmmaker in mind. It was also the result of many last-minute, handwritten changes, was subject to little review, and was passed by Congress in the middle of the night. The reviews on the new act are mixed, according to those in the filmmaking business. In all, says CPA Fred Siegel, "The new tax bill is not a good thing for filmmakers. It's muddled, but not as muddled as people think.” Schuyler Moore, a partner in the law firm Greenberg Glusker Fields Claman & Machtinger LLP, adds that there are "some good parts, some bad parts." Numbering more than a thousand pages, the bill also aimed to simplify the US tax code so that most folks' returns would fit on a single postcard. But for most documentarians, it might take more than one. "It could be 350; a return would be mind-boggling," explains Joel Ackerman of the New York City-based tax firm Richards, Witt and Charles. The reality is, most people in the field don’t know how things will change…yet. That's because the tax lawyers and accountants haven’t figured it all out. The law is murky at times, and the IRS hasn’t provided all the corrections or guidelines in some areas; they are starting to trickle out from the federal government, so at this point, some changes might apply to 2018 taxes only, while others will apply to 2019 and beyond. With so much uncertainty, accountants are finding it hard to give guidance to clients about how they should proceed. The key to figuring this all out is education for the accountants, says Paul Charles of the accounting firm Richards, Witt and Charles. And as of now, the new forms for the 2018 tax year have not been released. So we sought out experts who could break down the federal tax law for us. Yes, the bill does increase the standard itemized deduction. That's because most of the personal exemptions have been eliminated. The Schedule A, used to report itemized deductions, still exists, however, and deductions contributions to charity still stand. But there are now limits on medical deductions and mortgage interest income, as well as a $10,000 limit on the deduction of state income and property taxes. This hurts people in states like New York and California and other states where the property values and cost of living are higher. Very little help has emerged on the student loan side in the new law, either; deductions for interest on student loans are limited to $2,500, but that deduction cannot be claimed for single filers who earn over $80,000 and for married couples, filing jointly, who earn over $165,000. Individual state tax credits are not affected because they are driven by the individual states. In all, says Siegel, the IRS needs to provide clarity. One of the good changes? Section 181 of the Internal Revenue Code, which allowed for the deduction of production costs, expired at the end of 2016. In its place, under the Tax Cuts and Jobs Act, Section 168 introduces "bonus depreciation." You can now deduct 100 percent of total qualified property that you use for your business. This includes property bought to complete a film or television show. You can claim that deduction upon release of the project as long as 75 percent of it is shot in the US. It’s unclear where a film has to be shown to qualify for this bonus; it could be just on social media. So most advise to grab the deduction while you can. The requirement of 75 percent being shot in the US also opens the door to attracting international partners. Prior to Section 168, there used to be a $15 million limit on this deduction; now it is unlimited. That means a studio can deduct the cost of a Black Panther the moment it hits screens. That would seem to benefit studios but not a lot of independents. The bad part: this cap will be phased out in 2022. Investors can still claim a loss if they invest in a film. So, if someone invests $100,000, they can claim a $100,000 loss at the end of that year if the film does not make money. The devil is in the details, though: You can take that loss as long as you meet certain income and passive income requirements. Siegel doesn't believe that most of the changes in the tax code will help the documentarian. "Most doc companies are one or two people," he notes. "They get money from grants or crowdfunding. So they are caught with income, but have no way to claim deductions. It's a huge problem." It's also unclear to Siegel what rules now cover these people. "Since 1986, these filmmakers just wrote off pretty much everything. I don't think you can write off costs the way we used to. We don’t have solid answers." Nevertheless, a second good change, according to Schuyler Moore: the tax rate on what you earn has also changed. It's now only 29.6 percent on certain "qualified business income." To be eligible for this rate, you need to pay yourself from a pass-through, like an LLC or an S corporation. (Nonprofits are not eligible for this perk.) 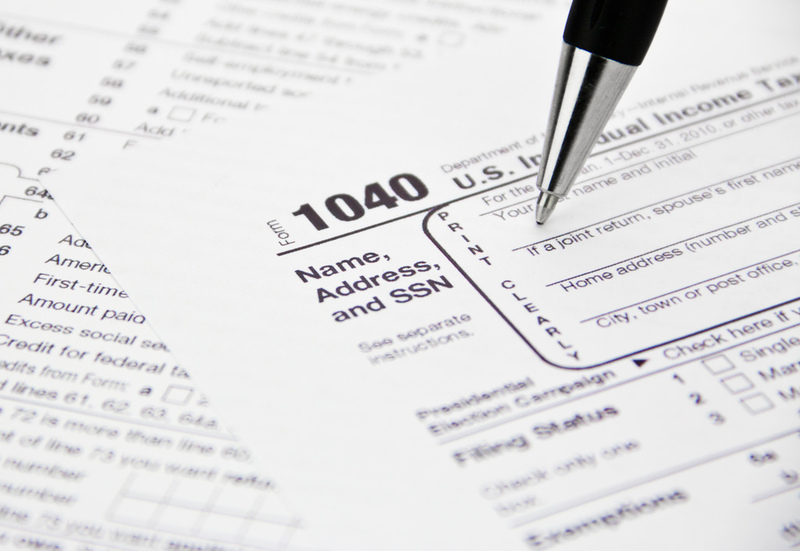 In addition, you can now take 20 percent of the income you make off the top as a deduction. Paying yourself through the pass-through or loan-out also means you can continue to take business-related deductions. So this provision can result in paying less taxes. The bad news is, the change can translate into an extra expense for setting up a pass-through for yourself. Another catch here is that if the LLC or S Corp depends on the reputation of a particular actor, or maybe producer, that lower tax rate will almost certainly not apply. For businesses that pay artistic personnel, it appears that the optimal way to do so is to give them a W2,and not pay them as independent contractors. The more employee wages the business has, the more it falls into the category of qualified business income for the employer. Being a W2 employee might not be good for crew members, producers, writers, directors or other personnel who still have unreimbursed business expenses. They can't claim such items as union dues, classes for actors, travel to auditions, etc. There are also limits to what you can claim on your Schedule C for such line items as business meals and entertainment. In the end, there is still a lot of uncertainty--and the bigger question as to how the country pays for all these tax breaks. The best advice now is for filmmakers to consult their accountants often. Says Charles, "Still so much info has not been released. Should be a fun tax season." Lauren Cardillo is an Emmy Award-winning filmmaker who recently produced a half-hour historical documentary, Over There: The Adventures of Maryland's Traveling Faculty, for public television. She is looking forward to the 2018 tax season since she is an LLC.